Eebee is a popular character in our house. We have all the DVD’s and spend a lot of time interacting with eebee. Eebee has been designed to promote natural play. They help to show how you can use things around the house to interact with your child while promoting development. You can check out this great article to learn more about eebee and the purpose behind this colorful puppet! When Sterling Publishing gave me the opportunity to review one of the eebee books I was so excited! I love this puppet on the DVD’s, so I was interested to see how they carried the fun over to books. 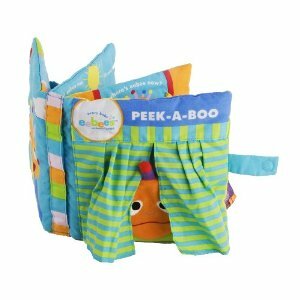 I received eebee’s Peek-A-Boo Adventures, which is a cloth activity book geared towards children between 9 and 36 months. The book is full of fun peek-a-boo activities where your little one can find eebee hiding in everyday situations, such as under a big sun hat or behind some blocks. Every page is an interactive experience that involves bright colors, different textures and things to lift or move. It’s a fabulous interactive learning experience! I enjoy looking at this book with my daughter, but she also loves to play with it independently. She loves to sit and lift flaps and get excited when she finds something hiding. It’s a great book! 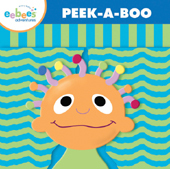 via Momma Drama: eebee’s Peek-A-Boo Adventures – Book Review.